If you're struggling with your custom USB order, then feel free to consult this quick user guide to help clarify a few things for you! How Much Do They Hold? Boxes, Cases, and More! - oh my! 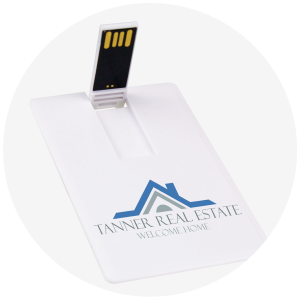 Custom USB Drives are a calling card for your business, so it's important that you choose a drive that will accurately reflect your company. Flash drives have come a long way. 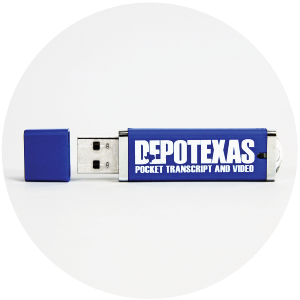 No longer restricted to the traditional "stick" format, USB drives come in a variety of styles and shapes. Cards, keys, pens, geometrice shapes, the list goas on. 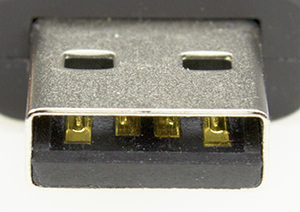 In addition to this, custom shapes are the new rage in USB design. If you can think it up, it probably exists! Everything from cameras, sports equipment, clothing, vehicles--you name it, someone has it. This makes searching for the ideal drive much easier; simply choose a style that suits your situation and desired look. An important thing to consider is that your logo will appear differently from style to style. For example, some drives may offer a larger print area than others or some may look better engraved vs. color printed. If you can’t find a style that suits your purpose, you can custom order drive shapes to get exactly what you want! Custom shapes offer the ultimate level of personalization and ensure no one else has what you do. Size, color and 3D depth can be customized to give you a truly unique piece that represents your business fully. The below chart is an estimate of the kind of storage you can expect for some of the most common capacities that our customers order. 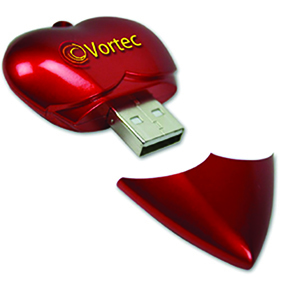 As you see, you and your clients will have plenty of room on your customized USB drive. The point of personalizing a USB drive is to offer your clients something practical while at the same time promoting your business. Your clients won’t appreciate it if their files take forever to download or transfer. 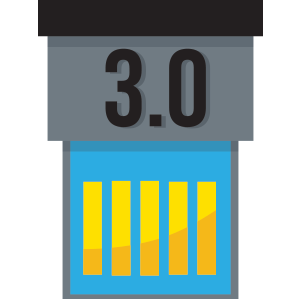 Most USB drives are at least 2.0 (referring to transfer speeds) but 3.0 is becoming increasingly common. 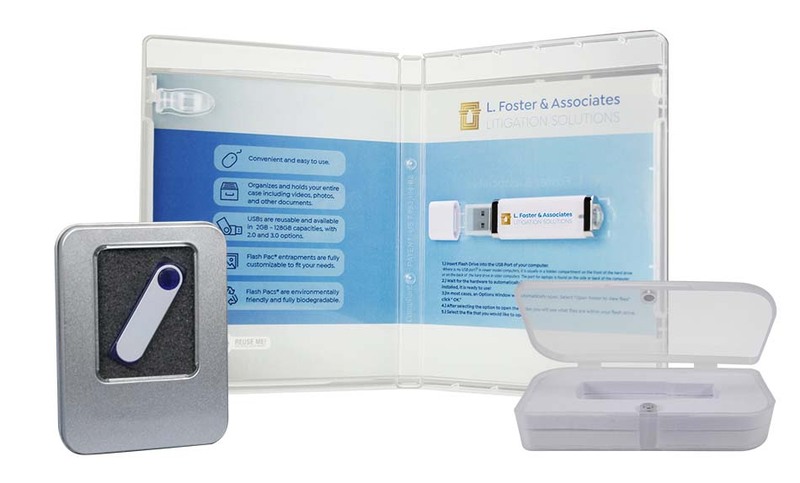 The point here is that USB drives can be a promotional gift that gets used frequently while exposing your client repeatedly to your company logo. It is important to think about what specifications your customers might require for it to be considered a useful item. Design elements in your logo to create a symmetrical or asymmetrical balance. Makes viewers form connections using closeness and proximity of different design elements. Keeps things neat and orderly in alignment so we can more easily understand what the logo stands for. Contrasts differences to create a startling meaning. Adjust positive and negative space to heighten aesthetic. Navigating the custom printing process might seem intimidating at first, but we’ve made every effort to make it quick and simple for our customers. 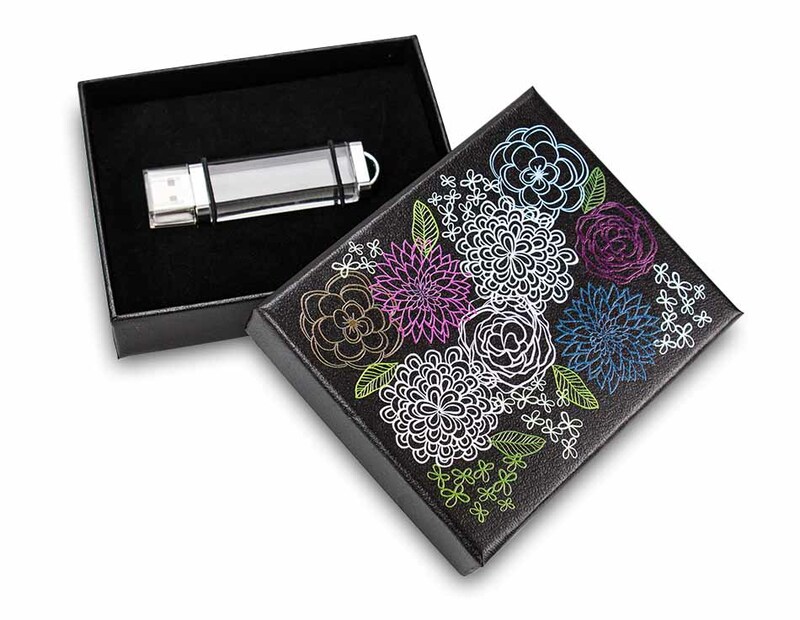 Look below for a brief overview of important aspects for your artwork or logo for your customized flash drives. We utilize different printing methods to give you a truly customized experience. 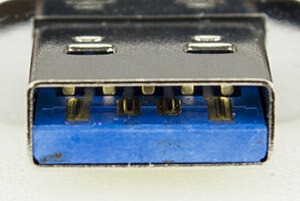 For a comprehensive explanation of print techniques, check out our custom USB print methods page. Each printing method brings something different to the table and is suitable for various situations. Each printing technique we use will positively affect your viewer’s opinions on your business. We have summarized their differences and offered some helpful tips below. The best color printing available; exclusive to Premium USB; exhaustively tested and does not smudge, smear, or fade with time. Water resistant and UV stable. Good for photo realistic prints. This type of print is utilized on our in stock drives and are printed in the USA. Great value and durability; ideal for simple designs with 4 or fewer colors. This is the method for printing on drives ordered from overseas. This is a good quality printing method but does not have the same capability as photo pro. 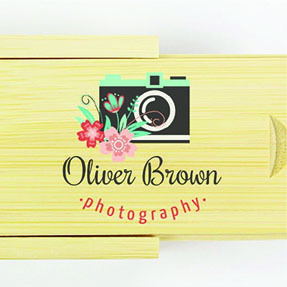 Amazing precision and detail; lasting impression; excellent for logos on wood or metal drives without pictures. Heat and pressure emboss text or logos into drive’s body; available only for leather wrapped drives; elegant appearance with a lasting impression. Adds a clear epoxy dome to magnify and protect your print area; durable and smooth; excellent for geometric shaped drives that needs a logo to pop. Note: Some printing methods will not be available for all drives! See the drive listing for more complete information. To truly customize your order and make it what you want, you’ll need to upload your artwork or logo. Simply upload to our online file upload and you’re done. Artwork can also be accepted on disc or email if it’s under 5MB, or by FTP. Try to submit vector artwork (.ai (Adobe Illustrator) or .eps file) because it is the easiest to work with and has the best color. If you must submit a raster file (which can be more pixilated), make it a png file which has a transparent background. After we receive your order details and image, we will send you a virtual proof to approve before we begin production. Easily share important business information with your customers or clients. It can be informational or promotional. Conveniently store large chunks of data without wasting time or money on printing large documents. Continue your influence and message beyond the exterior drive appearance with content stored on the drive itself. Quickly and reliably disperse company software and information. Make sure the data you send is the final, current and complete version. If you have to change or add data later, it may incur additional charges depending where your order is in the production process. Data will appear according to settings of the computer it is loaded on; we have no control how it is arranged. Too many files (10 thousand or more), zip files or archive files may become corrupted. If corrupted files are found, we will need a physical copy of your files. If your data is larger than 8GB or more than 10,000 files we require a physical copy to create a master file for your order. For FAT32, no individual file may be larger than 4GB. Don’t use \ / : * ? “ < > | for file or folder names. PowerPoint should be saved as .pps or .ppsx (PowerPoint Slide Shows). Below is a chart to understand what format type your order will use. 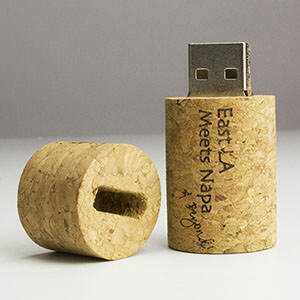 Customized USB drives for photographers are often enhanced with packaging. Even if you’re not a photographer, gift wrapping your drive can make a world of a difference in presentation and delivery for any kind of recipient. Even better, you can print right onto most of our packaging selections to make it a truly customized experience. Just make sure that the packaging matches your purpose! 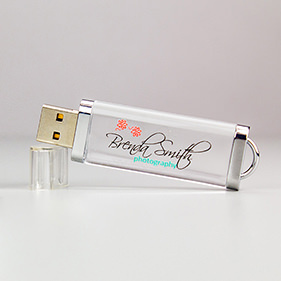 USB boxes for photographers are a must have in this competitive wedding market. 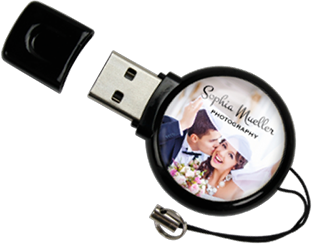 They make almost any USB drive look like a million bucks by personalizing the whole package to the client’s desires and dreams. Clients, busy with wedding planning and the big day, are often pleasantly surprised and overjoyed at the welcome wrapping as, admittedly, a flash drive isn’t all that exciting…unless you get a matching set! Even if you don’t typically handle weddings, picking out the appropriate packaging can make a world of difference in client satisfaction. Precious moments and memories deserve beautiful packaging. For company or promotional gifts, customized packaging is the way to go. It’s easy to brand your logo right on the packaging itself to truly drive home your message. 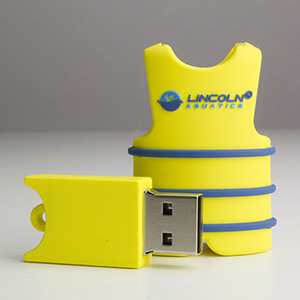 You can really impress prospective clients or keep current ones in good humor with occasional gifts, like a branded USB drive with matching packaging. Packaging can really emphasize your company’s power and resources by offering professional quality coverings for your gift. If you or your client aren’t fussy, or prefer a show of strength or simplicity, then there are many other options for you to choose. We offer a huge selection of boxes, cases, Flash Pacs, pouches and sleeves, bags and other accessories. Most of these less decorative, more practical, packaging selections can still be customized with custom printing, but we also offer unbranded versions as well. 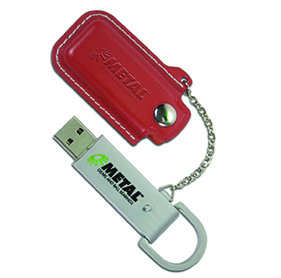 Don’t worry, our packaging printing process is identical to the customized USB drive process. Simply upload your image, artwork, monogram, or logo using our online loading page. 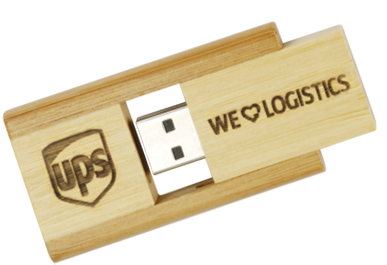 Like drives, there are several things you should consider before ordering your customized USB packaging. For packaging the print space available is much larger, allowing for big monograms, images, and logos to be fully visible. Techniques include laser engraving and full color printing. 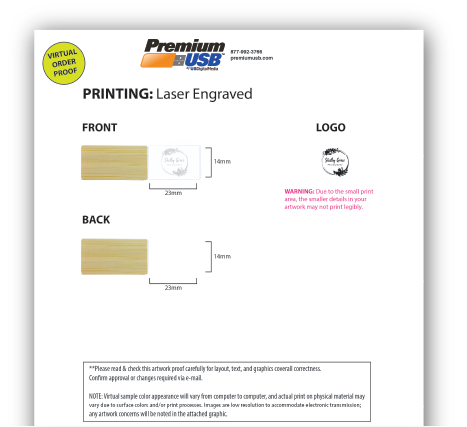 Laser engraving works well with wood packaging like presentation boxes and full color printing can be added to almost all packaging. Since packaging print surfaces are much larger photographic prints are possible, giving you life like images. 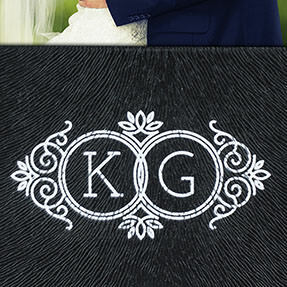 Not all materials will print the same, so even if you have a nice crisp logo or monogram that prints crystal clear on paper, it may not look that way on fabric or leather. Some colors show up better on certain materials than others; in general, dark colors look excellent with fabric while dark packaging like boxes simply pop with light colors. 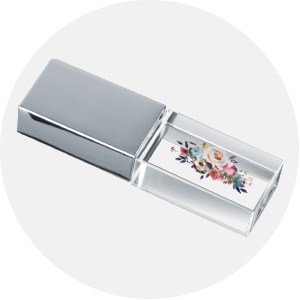 Your image’s clarity and quality matter even more so than with your USB drive order. You really must upload only high quality artwork because with the increased print field, lower quality images will look terrible and grainy. This is because we must resize images to suit the print space. All other tips remain the same as USB drive printing. Ready to get started? Compare custom USB drives now. 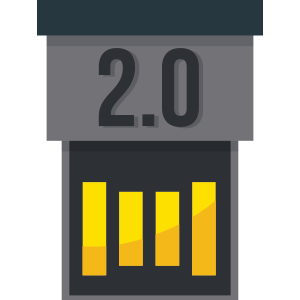 If you don’t see something addressed here, try our FAQ section or our flash drive support page. If you’re ever really stuck, don’t hesitate to contact our sales associates at 877-992-3766. They’re ready to help you!